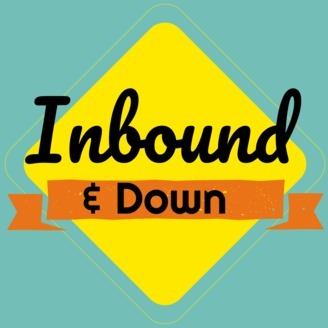 Welcome to Inbound and Down, where we cover tricks and hacks to make your marketing life more efficient from the top of the funnel to the bottom. Should you start your own business? 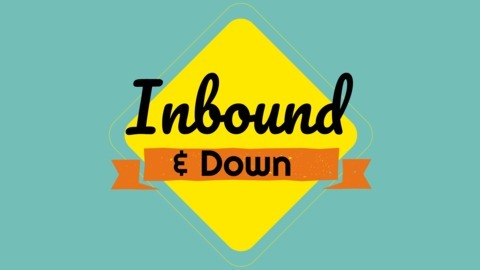 | Episode 7 | Inbound and Down Podcast This week, on Inbound and Down episode 7, we're talking about the typeof person you should be to start your own business. Spoiler alert, anyone can do it, but you definitely need to climb a few small, but scalable hills. The Inbound and Down Podcast Join Nurturelabs Founder Ryan Axford and co-host and founder of Spectacle Marketing Adam Barker as they discuss life as independent consultants. From leaving their full time jobs behind, to the tricks they've learned to build successful companies, join them every Tuesday. They'll cover inbound marketing, small business tricks, and strategies to make you a better marketer from the top of the funnel to the bottom. Meet the Crew Ryan Axford | Founder Ryan is the Founder and Principal Automation and Optimization Consultant at Nurturelabs. Over the last several years he has been the face behind lead generation programs driving triple digit results for various software companies. He has experience managing the optimization of the content lifecycle, landing pages, and automation platforms both large and small. Ryan has written Pardot trainings, and has most recently worked with clients including the University of California and HPE Software, as well as clients across SaaS, Services, and Technology Hardware. Ryan’s strategic approaches have grown databases 3x using content creation and targeted demand and lead generations campaigns. His success has been supported by the design of successful webinars, eBooks, blogs, drip campaigns and other online marketing programs. In 2016 he helped to drive $7.77 Billion in sales for his largest client’s Software and Enterprise Marketing divisions. In 2017, Ryan helped his clients increase conversions, demos, opportunities, and new customers - all in triple digit gains. Adam Barker | Founder of Spectacle Marketing Founder of Spectacle Marketing, Adam is an SEM expert with a focus on helping B2B companies. He's sat client-side as an in-house marketer nearly his entire career for a variety companies in the Boston area, including some of the fastest growing: SmartBear, Continuum Managed Services, Tracelink and WorldStrides. He fully understands what it feels like to be that marketer on an SMB’s small team with a number on their head. He helps clients big and small, managing budgets of $500/mo all the way up to $50,000/mo.